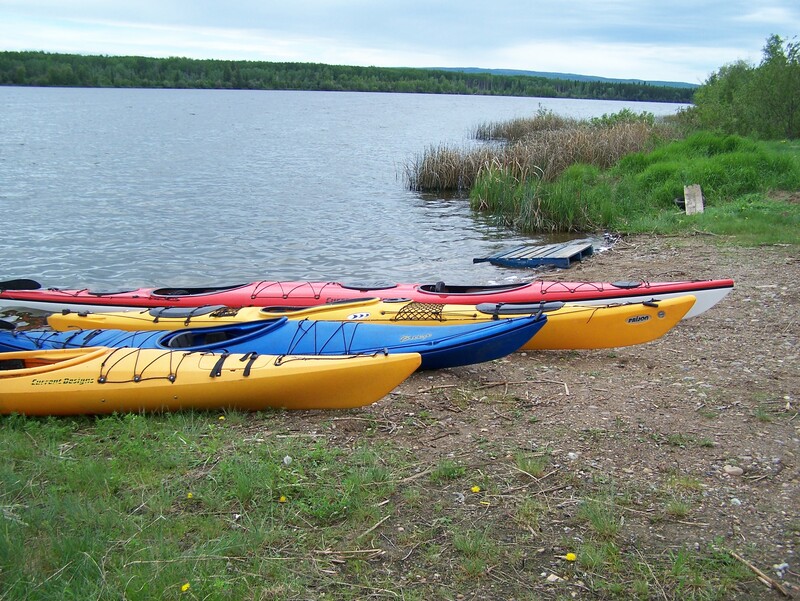 These items are required by Transport Canada for human-powered watercraft. Call ahead to reserve your boat — 780-821-0572 or Toll-Free 1-877-926-2649. If you are in the Grouard area, you can pick up the boat and take care of transportation yourself (we provide cushioning and straps for roof-mounting a canoe). If you are doing a multi-day trip, we can help with transportation (see drop-off & pick-up page). As you plan your trip, make sure you read this page. If you’ve never tried kayaking, but would like to, contact us to find out about our next “try a kayak” day. We’ll go out in the channel, with the boats, and you can drop by and give one a try! If you’re renting for an overnight trip and need a tent, stove, bear-proof container or whatever, mention this when you reserve the boat and we’ll see if we have what you need!